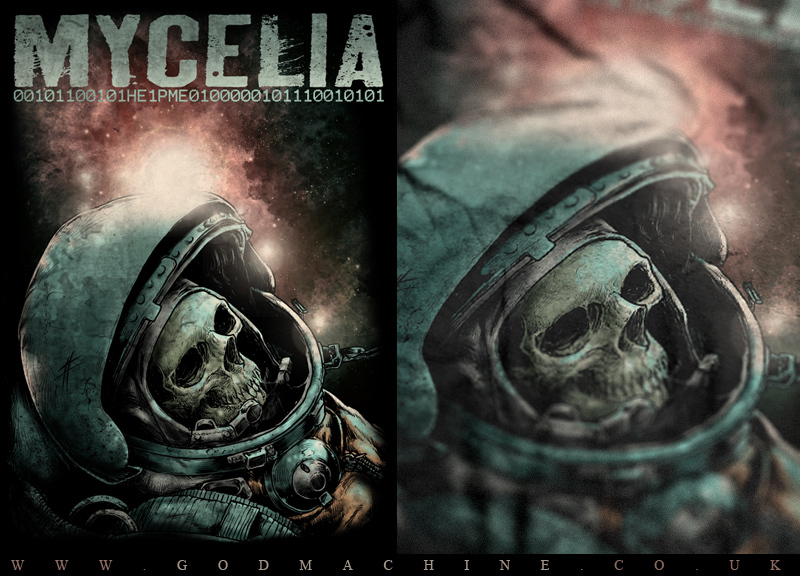 Mycelia approached me to do a 'space scene' and I loved the idea. Having already tackled it in a study I did both for a screen printing exercise and Sonisphere festival I felt I would like to revisit the idea. Its a pretty popular idea but that should never stop you from doing anything, ask Johnny Cash (NINs Hurt). I loved using a famous and much loved photo as a reference and obvious nod then putting a GM skull inside, and a big thrill using all those space brushes I had been saving for years.